Katie and I went riding over at Huntington SP today and it was great. 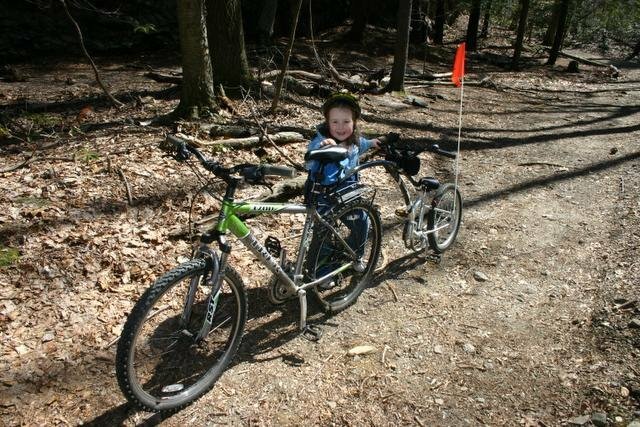 We did a 4 mile loop but if we stuck to what I would call the ideal trailer biking loop it would have been more like 3 miles. 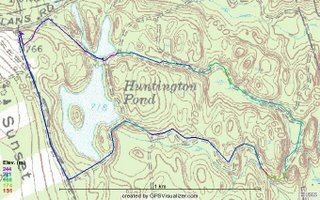 If you look at the Huntington SP map online, the ideal route is the Red to Blue loop by the big cliff. I would recommend heading down the Blue Trail to West Lagoon and picking up the north side of the red trail and then looping back around, picking up the blue, then back on red. 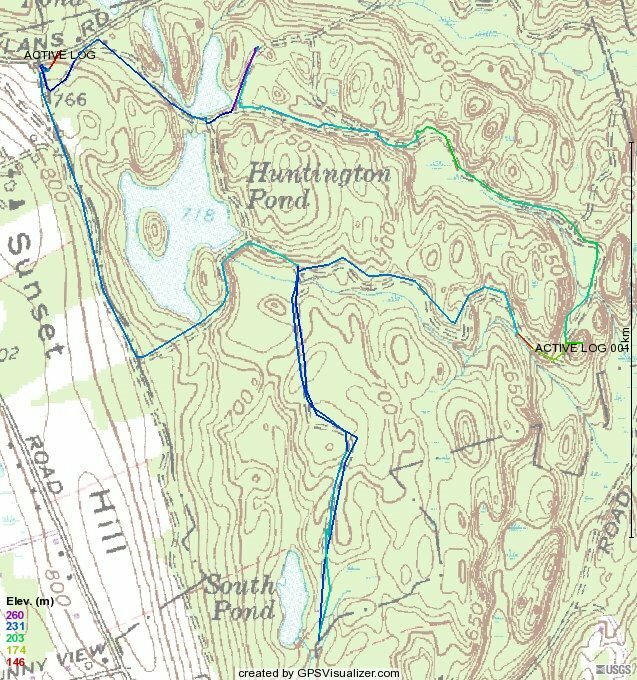 If you go all the way back to the lagoons on the red, then on the way up the blue heading back to the parking area, take the little side cut out to the road because the hill up to parking is definitely hike-a-bikeville. Otherwise, grab the white that skirts the southern edge of Lake Hopewell and then come home on the blue. With the exception of Rail Trails and paved trails, there aren't too many places that you ride off-road with a trailer bike. 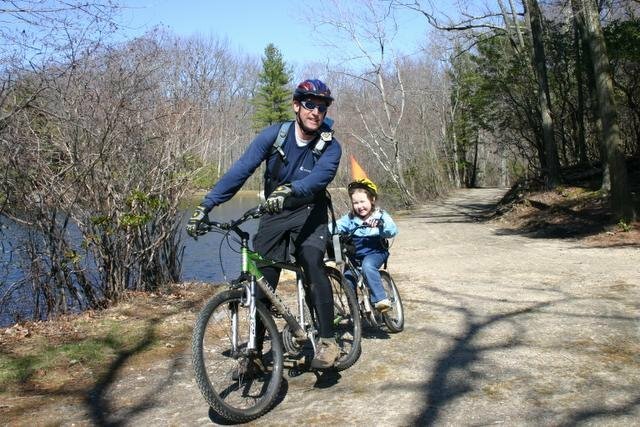 Other places that we have yet to try are Waveny Park in New Canaan. The Greenwich Pinetum in Greenwich - but why go to Greenwich? 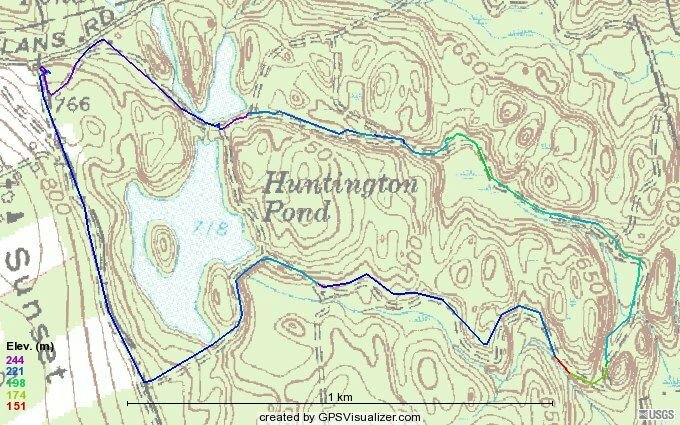 There is the rail trail in the Pequonnock River Valley (aka Trumbull) and when I think about it, the river trail on the other side is pretty rideable, too, but getting out of there would not be fun so I would just stick to the rail trail. Another place to check out is Steep Rock State Park, another rail trail and then there is White Memorial Foundation in Litchfield. Oh, stopped in at World Of Bikes in Newtown to drop off some cards and the guy there hooked me up with a good solution to my barberry problem - DH tubes! Put one in the rear and now waiting for one for the front. Might be a little heavier but who care about weight right now? It's not like I am racing, ..... yet. CTNEMBA has a new and improved Website!